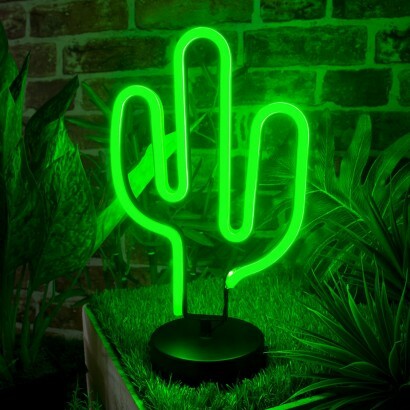 Add a splash of colour and playful light to your space with a vibrant LED neon cactus light! Created in fashionable neon, this Saguaro cactus shines with vibrant green light for bright novelty lighting that adds personality to any room in your home. Battery operated, this cactus stands at 30cm tall and is guaranteed to make an impact giving the illusion of plant life and the brightness of neon light!